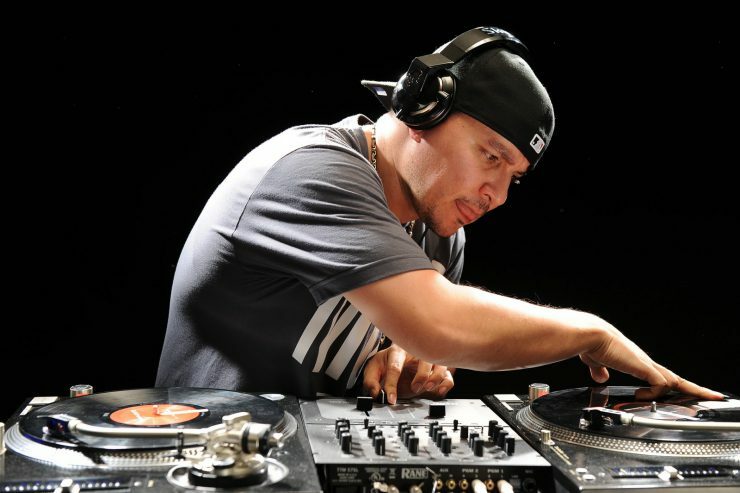 Mixmaster Mike (aka, Michael Schwartz) is one of the most renowned turntablists in the DJ world. In 1992, he was the first West Coast scratch artist to win the New Music Seminar DJ Battle for World Supremacy in New York City, and went on to become World Champion three times. A chance meeting with the late Adam Yauch of the Beastie Boys eventually brought him to their recording studio where he contributed to 1998’s Hello Nasty and became the Beastie’s resident DJ soon after. His list of accolades is lengthy, but the highlights include: a lifetime achievement by the International Turntablist Federation in 1999 for his efforts in furthering the turntable as a musical instrument; induction into the Rock ’n Roll Hall of Fame in 2012 with the Beastie Boys; and in 2016 an invitation to perform at the Kennedy Center Honors 36th Gala honoring Herbie Hancock. His latest projects include 360-degree VR videos, including one for his latest release, Magma Chamber, that won the 2017 VR Fest Award for Best Animated VR Music Video. So did you really introduce yourself to the Beastie Boys by leaving scratching sessions on their answering machine? That’s a true story. I met Adam Yauch at the Rock Steady Crew’s anniversary in ’97 and handed him my business card. This was at a time when I was a three-time World DJ Champion and had my own scratch band called The Invisibl Skratch Piklz. We used to call each other and I used to send him videos of DJ battles and stuff, and when he wasn’t home I used to leave these crazy, wacked-out messages on his answering machine. I left three or four different ones, and one of them happened to become the beginning of the “Three MCs” song. By the end of ’97 or beginning of ’98, I got a call from Mike D. and Mario C. and they were in the studio in New York City working on the new album (Hello Nasty). They flew me out there the next day after that call. I was feeling like, “Ohhhh, okay, I gotta go dig in the vault!” So I was like flipping through records. “Cool! I’m gonna be in the studio with the guys, finally.” So I had to get some ammo. How did you learn the DJ ropes? Peace to Grand Wizard Theodore, who invented scratching. And there was a guy by the name of Grand Mixer DST, he did a song called “Rockit” with Herbie Hancock. They were playing live on Saturday Night Live, and that pretty much inspired me—I saw a guy up there scratching, moving a record back and forth with his thumb. It sounded amazing to me. Did you just start doing it yourself? Yeah, pretty much. I started messing with two tape decks and making pause mix tapes. Then I got turntables, and developed my own style. I developed so many crazy styles with the turntable back then, I started battling at garage parties. That’s where I earned my name, through competitions. What kind of equipment did you use? Two Teac tape decks. From there, it was a Garrard turntable. Actually, I had mismatched turntables: I had the Garrard on one side and a JVC on the left. And I had a battery powered mixer—Realistic made a battery powered mixer with no fader. Yeah, I started out with this janky equipment, and then when I moved up and had enough money to afford Technics 1200s, I was like “Wow.” Moved up to the top-of-the-line equipment—amazing. Is scratching in the studio a different process than performing onstage? A whole different process. When I’m alone in the studio, there’s more time to think. Being up on stage and performing live, I mostly rely on my wit. A lot of my solo shows are done improvisational, it’s just all the stuff I’ve made up over the years. It’s just all a matter of me remembering them and executing them. It’s very spontaneous—spontaneous combustion. So what do you think of those CD-scratching decks? I think they’re an amazing breakthrough—as far as for CDs. To perform with live? No—I don’t think they’re great to perform with live. But for the studio, it’s very useful because you’re able to burn sounds on the fly and then put it into this unit and scratch it within two minutes. But is the sound really equivalent to vinyl scratching? The sound is a little sharper. Nothing is going to beat the warm feeling of that analog vinyl. What kind of records do you like to collect? I have a library of how-to records—like how to break dance, or a work-out record with Jack LaLanne that shows you the 20 steps to get fit. Just crazy records like that are just so cool to listen to, because it’s just endless. How do you go about record hunting? I look for the darkest, deepest dungeons in America. You just have this sense. You’re on tour, you’re checking into hotels, and you just break out the Yellow Pages and start hunting. 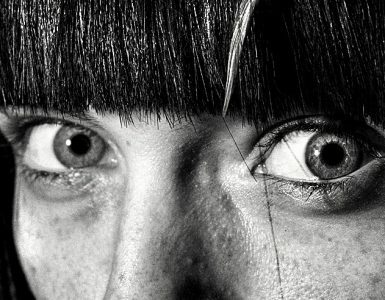 I have people who are always on the lookout for me, like little record spies. They tell me what’s up with the record stores. But most of the time I’m busy making my own vinyl: I’m compiling my own sounds, making my own little hits and riffs, and pressing them up on vinyl. I get more satisfaction that way. Is it more difficult these days to find rare beats? It is, especially original pressings—they’re hard to come by. Everything you see at a record store is mostly reissues now, and the sound quality is so run-down. Usually, if I find something on CD, I’ll press it to vinyl. What was your biggest record-hunting score? As a matter of fact, me and my wife did an in-store at Amoeba (Records in Los Angeles), and found this rare Jimi Hendrix meets Curtis Knight record I’ve always been looking for—an amazing instrumental, a one-day session with Jimi, there are so many beats, so many samples. Those are the good ones. I have bunch of archives in my room right now. When I go on tour, I compile so many records that I just bring them home and I never get to go through them. Do you ever worry about copyright infringement court decisions regarding sampling? Yeah, I do, but you have to be a ninja about the situation. Whatever you take, you have to disguise it to the best of your abilities. Like I’ll grab a lot of things off of records, but then I’ll flip ’em—whether it’s me moving the record back and forth and scratching it, or reversing it, or bit-sampling. If you put your mind to it, you can really duck and dodge those sample police out there. It depends on how you flip it. So you work it over until you’ve created an original sound? Yeah, you just totally destroy it—in a good way. What are your views on people downloading your music from the Internet? It’s kind of a catch-22 to me. It’s great for promotional use to get your music out there, but for me as an artist it’s difficult to make a living if people are getting your music for free and not going out there and buying the album. It’s a tough thing.